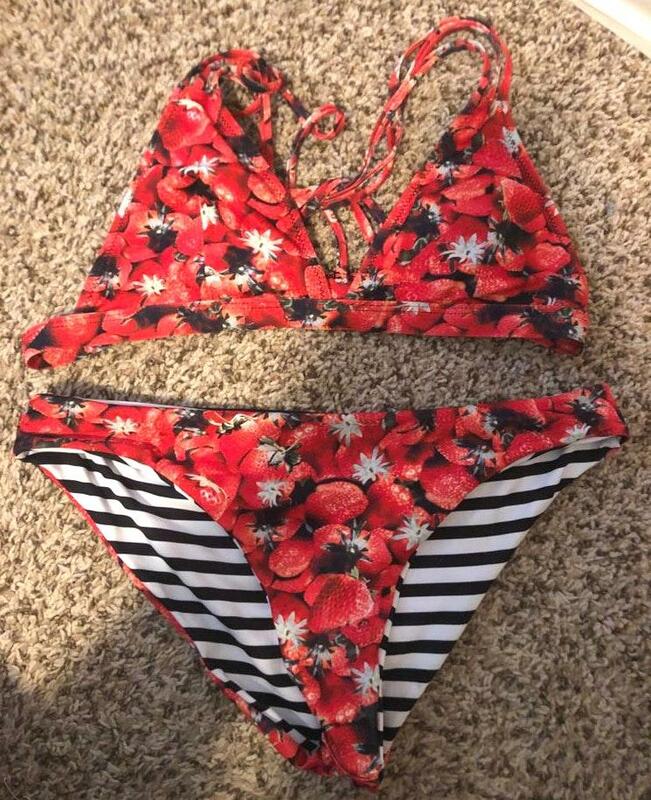 Strawberry print bikini set, bottoms are reversible to black and white stripes. Brand new condition, never worn. No flaws just didn’t fit me.